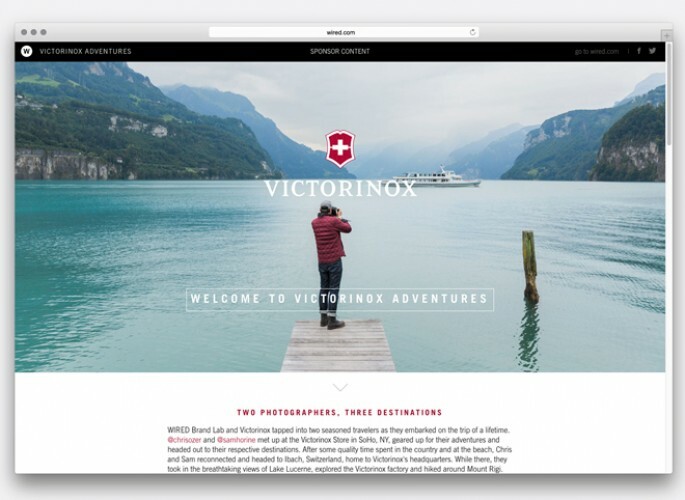 For the second installment of WIRED’s Victorinox Adventures series, the WIRED Brand Lab enlisted two intrepid travelers as they embarked on trips of a lifetime. For the launch, influencers Chris Ozer and Sam Horine met up at the Victorinox store in New York City to gear up for their outings. 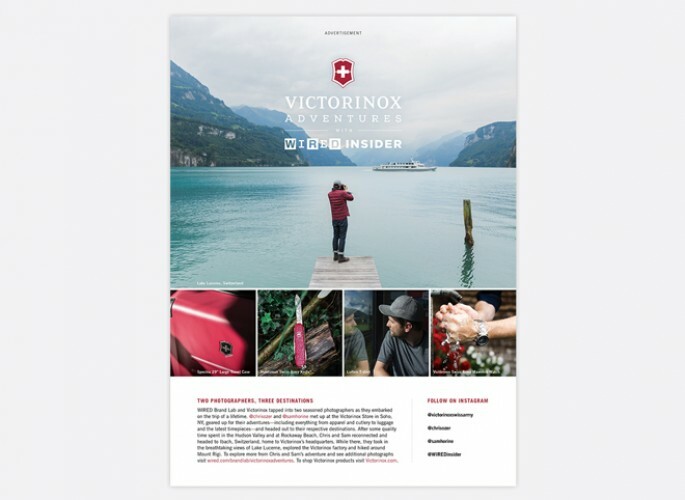 After parting ways to explore the countryside and the beaches of New York State, Ozer and Horine reconnected and headed to Ibach, Switzerland, to visit Victorinox’s headquarters. While there, they explored the stunning scenery of Lake Lucerne, toured the Victorinox factory, and hiked around Mount Rigi, documenting their entire experience. 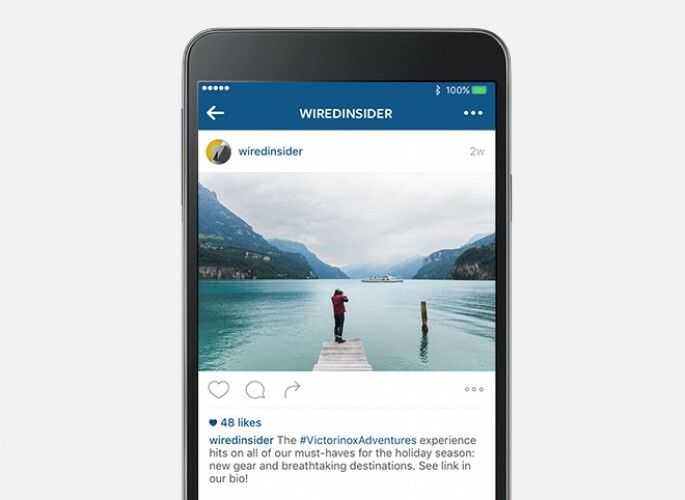 Their photographs were curated into an immersive parallax experience, as well as recapped in a custom print unit and pushed out via their Instagram handles and on WIRED Insider’s social platforms. 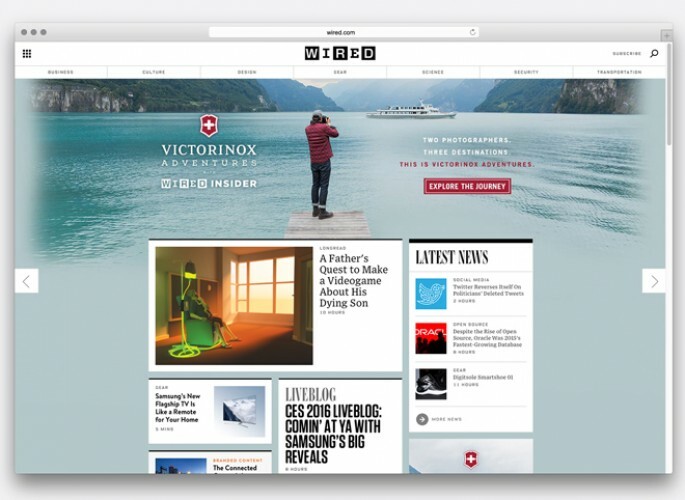 These visually stunning, high-impact takeovers drove readers directly to the Victorinox Adventures parallax site.